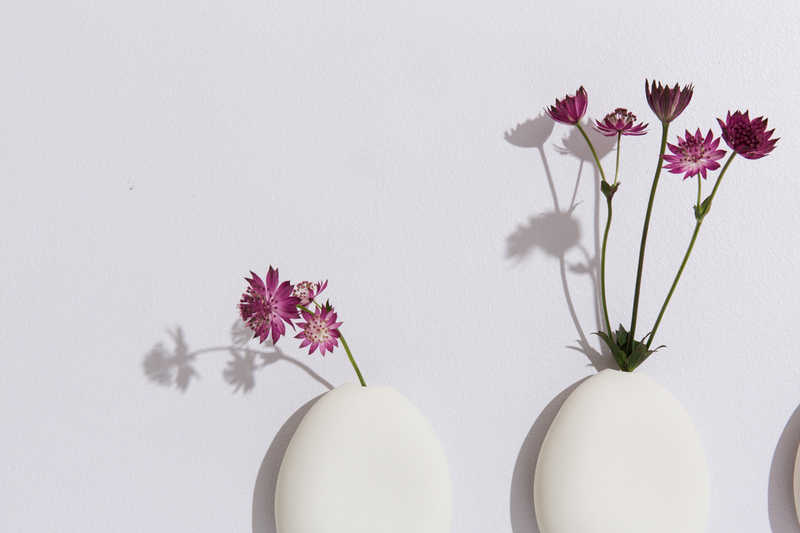 Imitating the natural shape of a flat stone, the delicate unglazed ceramic vase has a hole to hold a single flower. To be placed on the wall. The vase measures approximately 11 x 9 x 2 cm. It can hold water and should be washed by hand. 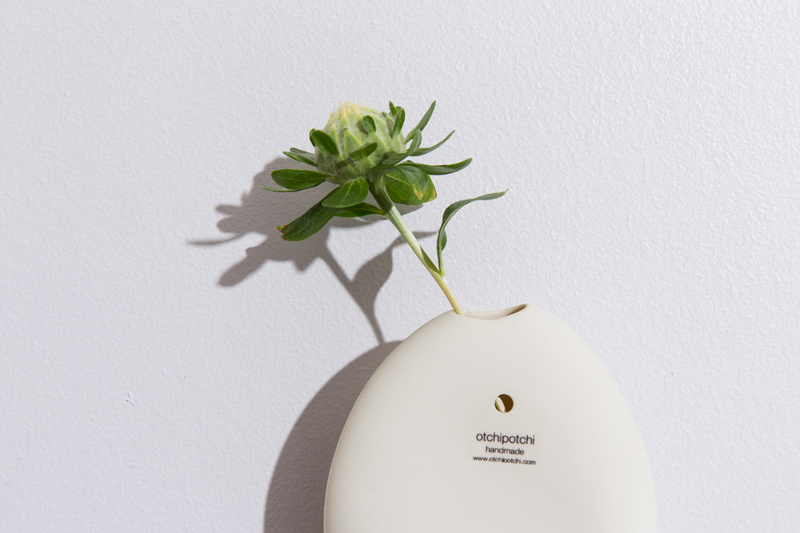 Behind Otchipotchi is Paula Valentim, a ceramic artist living in a small town in Portugal. 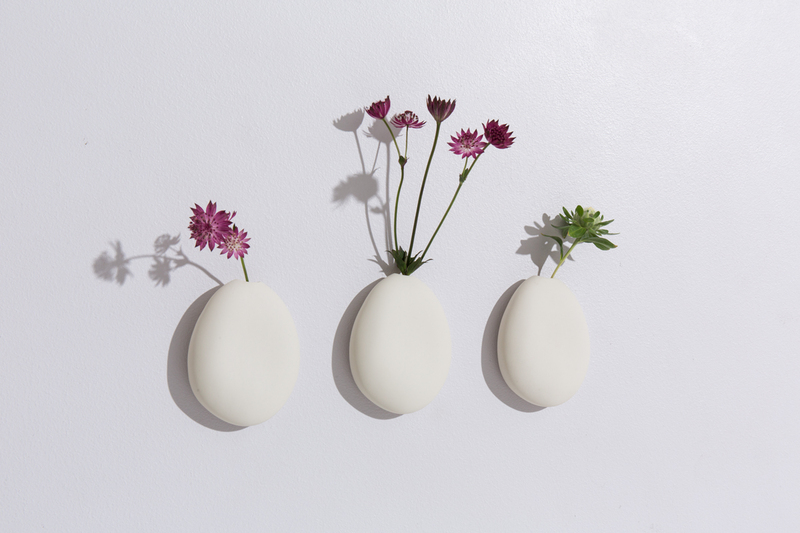 She set up her own studio in 2010 and has since created ceramic objects that derive their form from nature and quiet simplicity.